Covering the period 1780-1914, "The Birth of the Modern World" shows how events in Asia, Africa, and South America - from the decline of the eighteenth-century Islamic empires to the anti-European Boxer rebellion of 1900 in China - had a direct impact on European and American history. And conversely, how the "ripple effects" of crises such as the European revolutions and the American Civil War worked their way through to the rest of the world. None of the great themes of the nineteenth-century world - the rise of the modern state, industrialisation, liberalism, imperialism, and the progress of world religions - is untouched by the novel perspectives of this compelling new history. 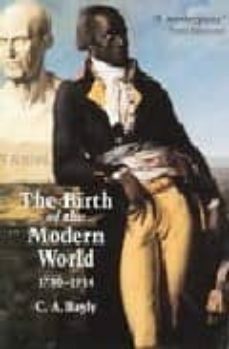 This thematic history of the world from 1780 to the onset of the First World War reveals that the world was far more 'globalised' at this time than is commonly thought. Explores previously neglected sets of connections in world history. Reveals that the world was far more 'globalised', even at the beginning of this period, than is commonly thought. Sketches the 'ripple effects' of world crises such as the European revolutions and the American Civil War. Shows how events in Asia, Africa and South America impacted on the world as a whole. Considers the great themes of the nineteenth-century world, including the rise of the modern state, industrialisation and liberalism. Challenges and complements the regional and national approaches which have traditionally dominated history teaching and writing.